The reality is a lot more complicated than this Eurocentric view of Pakistan’s civil–military relations, which tends to reinforce a perception of Pakistan that serves Western powers and interests. At the core of this Eurocentrism is a tendency to view Pakistan’s civil–military relations through a foreign policy lens, while almost entirely neglecting the domestic political and structural issues at play. Western commentary also tends to treat civilian political leaders as passive actors, overlooking their role in the imbalance. The civilian and military leadership in Pakistan are on the same page when it comes to foreign and security policies. Disagreements are only over the right methods for achieving these foreign policy goals, and reflect an internal power struggle rather than an ideological difference between civilian and military factions. For instance, after former prime minister Nawaz Sharif took power at the 2013 elections, he was interested in bold steps to move quickly on peace with India — often even going beyond state protocol and opening backdoor channels. The Pakistan Army was not disinterested in peace with India. Military leaders just wanted to mend relations in a systematic way that would not compromise Pakistan’s interests and that would make peace last beyond rhetoric. Military leaders advised caution and small steps to achieving sustainable peace with India — advice which Sharif ignored. After several months of futile attempts to court Indian Prime Minister Narendra Modi, who pressed hard on Pakistan after his rise to power, Sharif faced an embarrassing situation. He accepted that his strategy had been a failure and allowed the military to devise a new strategy to engage India. Civilian and military leaders were similarly split over issues of method when it came to tackling terrorist safe havens inside the country. In 2013, the then new government under Sharif was not interested in launching operations inside the country against the Taliban and other extremist actors. The government instead began peace talks with the terrorist outfits despite repeated advice from the Pakistan Army to the contrary. 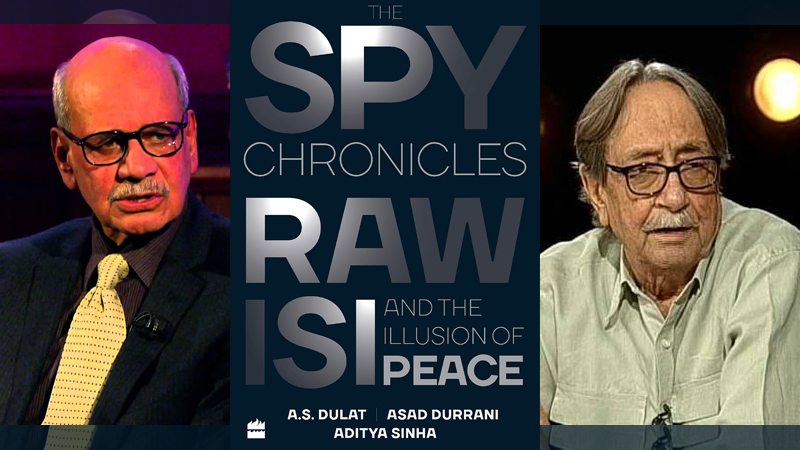 The Pakistan army pushed the view that terrorist outfits use ‘peace talks’ as a pretence to regroup, develop credibility and then launch attacks again when the government is vulnerable. Months later, when the terrorists continued their attacks on Pakistan and US forces despite the ongoing negotiations with the Pakistani government, Sharif again was sheepish in front of Pakistan’s security establishment and allowed the military to launch an operation. When it comes to Pakistan’s current foreign policy posture, there appears to be no rupture in civil–military relations. Both civilian and military leaders support deep ties with China, opening up to Russia, balancing the Middle East, defying the United States and finding a sustainable peace with India and Afghanistan. Even the ‘Dawn leaks’ controversy was less a matter of disagreement over foreign policy than a case of the civilian government trying to embarrass the military establishment. While civil and military leaders in Pakistan are locked in a power struggle, they are on the same page in terms of foreign and security policy — which is why Pakistan has seen much policy continuity over the past four decades. Civilian leaders pitch this domestic power struggle to international audiences as a matter of ‘foreign policy’ and a ‘fight for democracy’ for the purposes of seeking international endorsements that can be leveraged in the local power tussle. This absence of nuance in Western academic writing and commentaries on Pakistan is not just a blind spot. It is deliberate neglect whereby the dominant characterisation of Pakistan’s civil–military relations is constructed to suit Western political interests that include aligning Pakistan’s national security policies with that of the West, and having a strong check on its nuclear program.